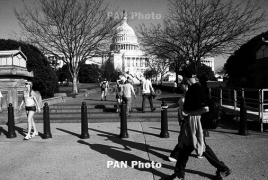 PanARMENIAN.Net - Senate Foreign Relations Committee Ranking Member Robert Menendez (D-NJ) cited the refusal of U.S. Ambassador to Turkey nominee David Michael Satterfield to properly characterize the Armenian Genocide as an important reason to pass pending Senate and House Armenian Genocide legislation, reported the Armenian National Committee of America (ANCA). S.Res.150 and H.Res.296 would – as a matter of U.S. national policy – recognize the Armenian Genocide, reject the denial of this crime, and encourage Armenian Genocide education in public schools.